President Muhammadu Buhari has blacklisted 113 vessels from lifting Nigerian crude oil as part of an effort to sanitize Nigeria’s oil industry plagued by corruption, crude theft and massive fraud. A memo that originated from the Nigerian National Petroleum Corporation (NNPC) disclosed that President Muhammadu Buhari had directed the country’s oil corporation to bar 113 vessels from lifting Nigeria crude oil from 27 designated terminals. 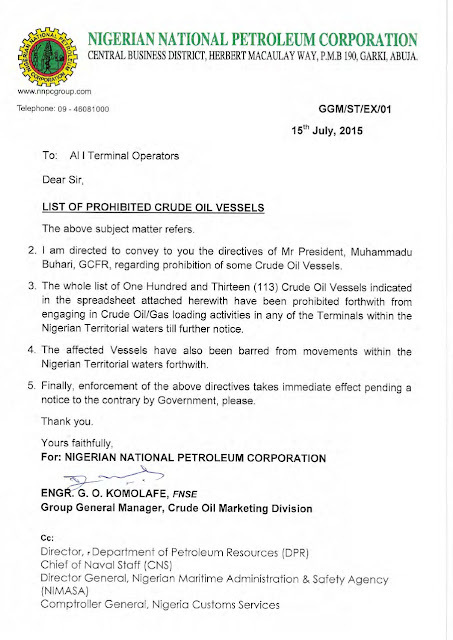 The memo, which was signed by the NNPC’s group managing director, G.O Komolafe, directed affected terminals to prevent the vessels from lifting crude oil within Nigeria’s territorial waters until further notice. 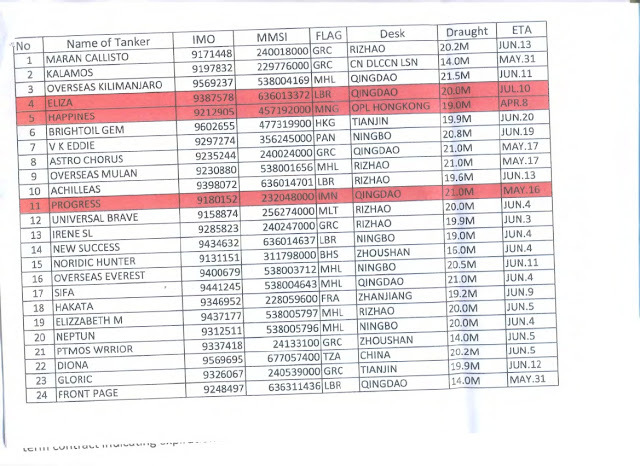 The memo listed 27 terminals from which the vessels are prohibited to lift Nigerian crude. 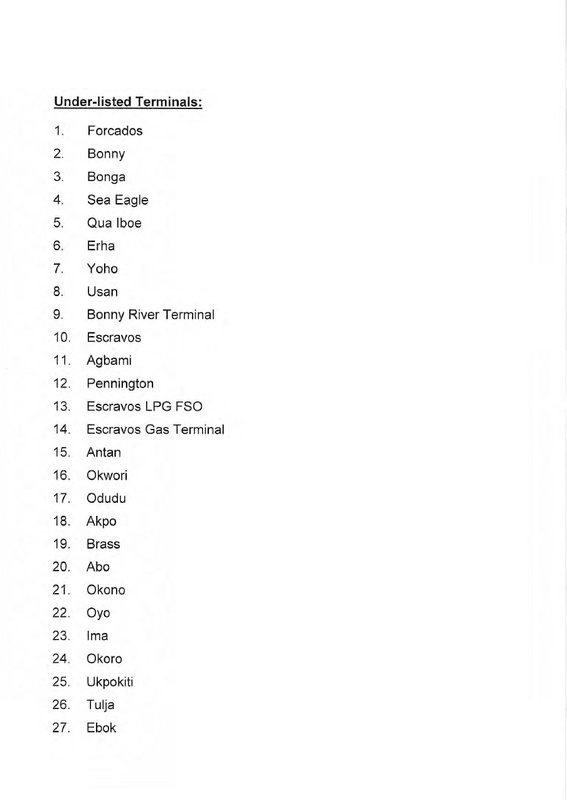 The terminals are Forcados, Bonny, Bonga, Sea Eagle, Qua lboe, Erha, Yoho, Usan, Bonny River Terminal, Escravos, Agbami, Pennington, Escravos LPG FSO, Escravos Gas Terminal, Antan, Okwori, Odudu, Akpo, Brass, Abo, Okono, Oyo, lma, Okoro, Ukpokiti, Tulja, and Ebok. A source at the Presidency told SaharaReporters that the blacklisted vessels were implicated in a pattern of fraud that resulted in the shortchanging of Nigerians. “Many of the vessels had documents in Chinese, Russian or French names, and used these different languages to hide their illicit lifting of Nigerian crude,” said the source. He added that numerous officials of former President Goodluck Jonathan’s administration, the NNPC as well as the Ministry of Petroleum were involved in facilitating the illegal lifting of Nigerian crude. 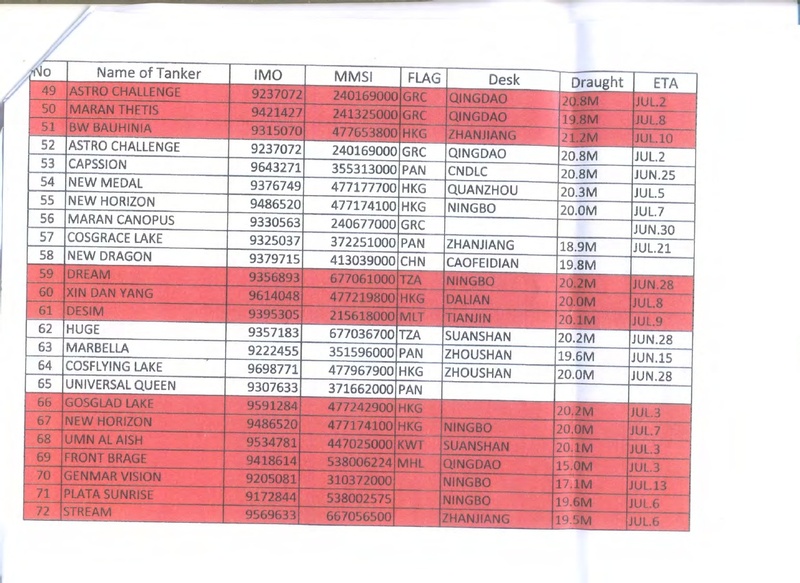 Mr. Komolafe’s memo also announced that the blacklisted vessels would be prohibited from operating within Nigeria’s territorial waters. 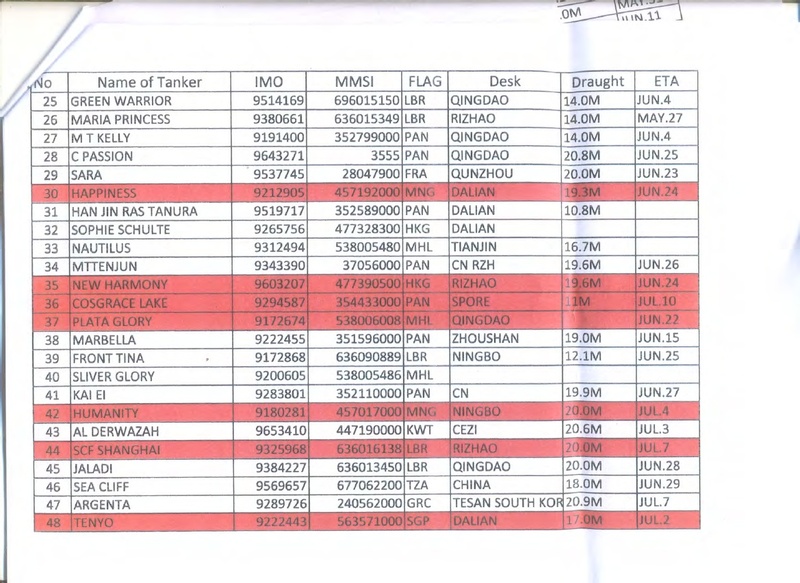 Sahara reporters learnt that the vessels were mostly linked with oil bunkering and sophisticated theft of crude from numerous NNPC loading facilities. Last week, President Buhari sacked Patrick Ziakede Akpobolokemi, the director-general of the Nigerian Maritime Administration and Safety Agency (NIMASA), for undisclosed reasons. However, an investigation by SaharaReporters revealed that Mr. Akpobolokemi was linked to billionaire Niger Delta militant, Government Ekpemupolo (aka Tompolo). We could not establish whether the banning of the 113 vessels was connected to the firing of Mr. Akpobolokemi.